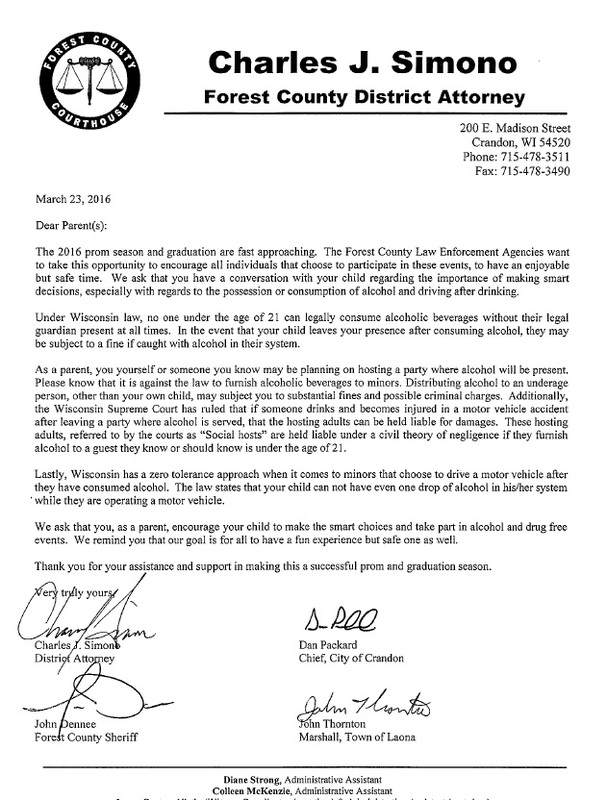 As many people are aware, prescription painkiller abuse has become a huge problem across the state of Wisconsin, as well as right here in Forest County. 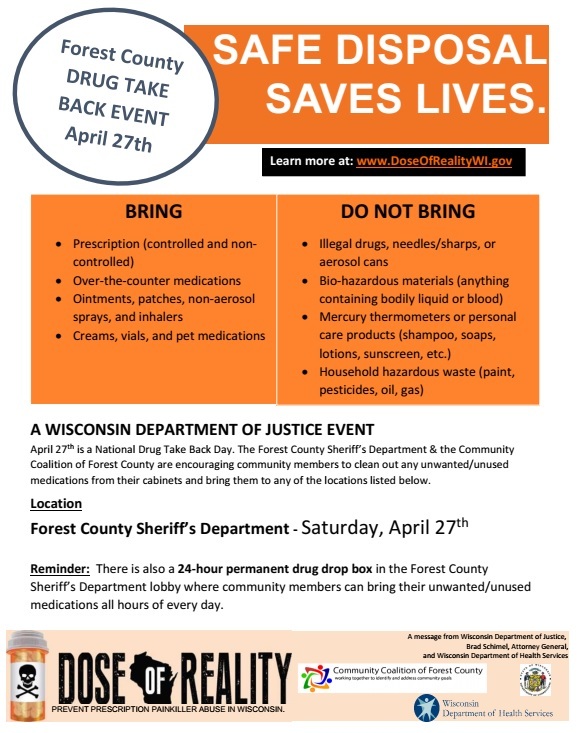 The Wisconsin Department of Justice, in conjunction with the Wisconsin Department of Health Services and partners across the state (including the Community Coalition of Forest County), developed and are sharing Dose of Reality Materials to bring light to this issue and work to prevent painkiller abuse. Deaths and hospitalizations from overdoses are increasing, and four out of five heroin addicts start by abusing prescription painkillers. In the words of Attorney General Brad Schimel, prescription painkiller abuse is a “public health crisis in Wisconsin.” We all need to work together and do something about it. The Community Coalition is working to provide education and Dose of Reality resources throughout the community to help with this crisis. Read below to learn what you can do to help.